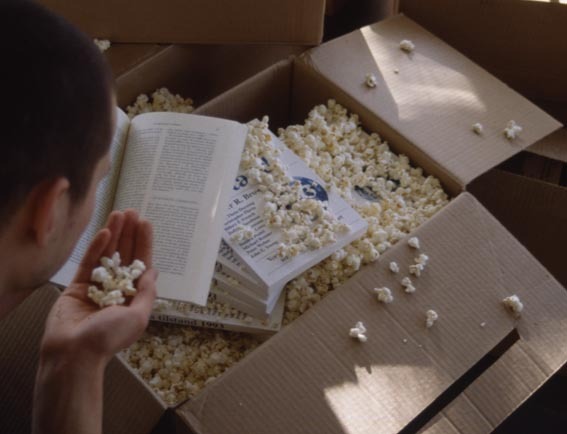 Interactive installation with books, cardboard boxes and popcorn, variable dimensions. 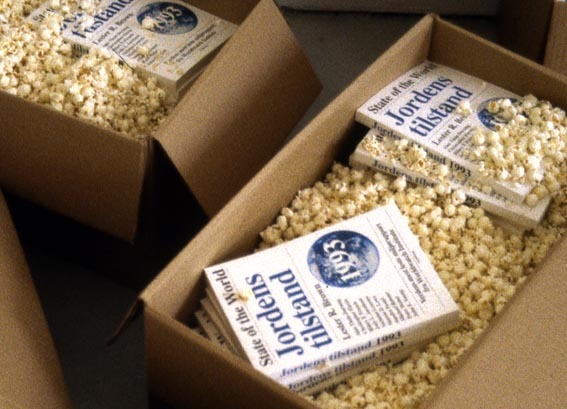 For the diploma exhibition at the National Academy of Art in Oslo, a room was filled with cardboard boxes containing the remaining stock edition of the environmental report State of the World, in addition to lots of popcorn. This was neither an installation, a formalistic spatial concept, or a hybrid in the sense of an iconoclastic work. The work was not, according to the artist, an ironic comment. 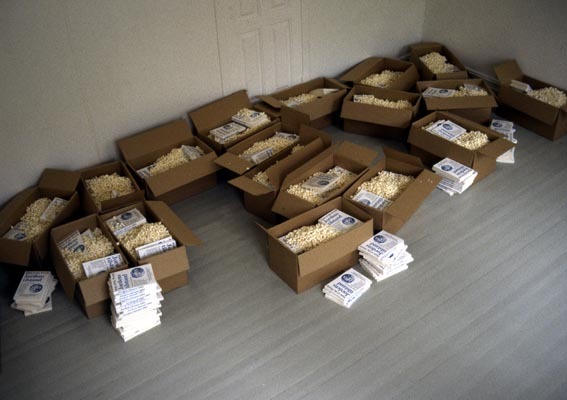 It was meant to represent a potential educational reservoir on the actual state of the world, with popcorn as apéritif and symbol of our consumer society. The poetic nature of the work did not undermine its contribution to social consciousness. The public were invited to take books home, referencing both works of institutional critique as well as the role of the public in both the art and 'real' world. Over a span of three different exhibition venues, all the books had disappeared.